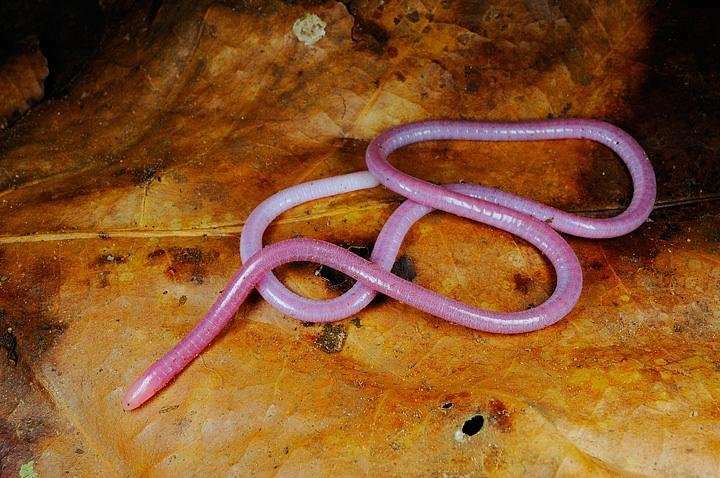 Fisher's caecilian, a worm-like amphibian that is only found in Cyamudongo in Nyungwe National Park in Rwanda, and a species that could possibly go extinct in the next century due to climate change. Credit: Fabio Pupin. 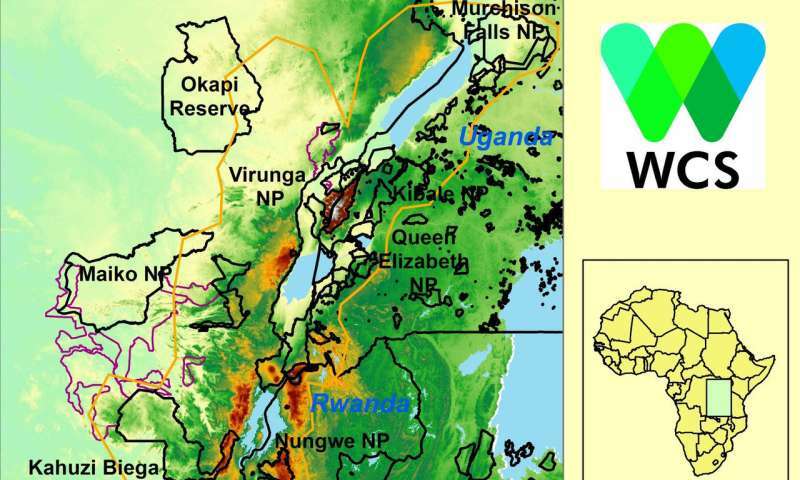 A new study by scientists from WCS (Wildlife Conservation Society) and other groups predicts that the effects of climate change will severely impact the Albertine Rift, one of Africa's most biodiverse regions and a place not normally associated with global warming. Of the species existing within this region, the authors anticipate that nearly 50 percent of the mammals, birds, reptiles, and other organisms found nowhere else on earth will become threatened according to the criteria of the Red List, an inventory of imperiled animals and plants maintained by the International Union for Conservation of Nature (IUCN). The study titled "Conservation of the endemic species of the Albertine Rift under future climate change" appears in the online version of the journal Biological Conservation. The authors are: S. Ayebare, D. Kujirakwinja, D. Segan of WCS; and A.J. Plumptre of WCS and the Conservation Science Group in Cambridge, United Kingdom. "Much of the Albertine Rift is mountainous terrain, and the species that inhabit these places have narrow ranges," said WCS scientist Dr. Andrew Plumptre, one of the authors of the study. "This makes many species especially vulnerable to climate change. Using distribution models to predict how ranges will shift as climate and precipitation levels change provide us with the means to determine how well existing protected areas will safeguard wildlife into the future." 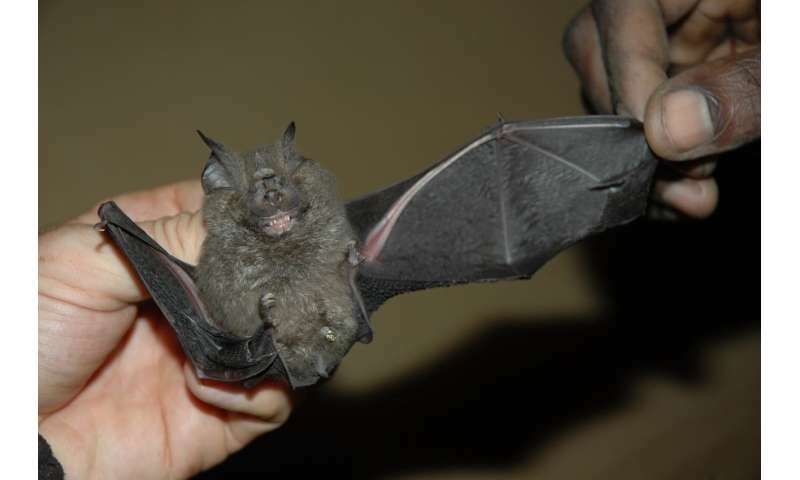 The Willard's horseshoe bat, a newly described species from eastern Democratic Republic of Congo and another species predicted to possibly go extinct due to climate change in the future. Credit: A.J. Plumptre. The Albertine Rift encompasses parts of five countries (Uganda, Democratic Republic of Congo, Rwanda, Burundi, and Tanzania) and stretches from the southern tip of Lake Tanganyika to the northern tip of Lake Albert. Using data from several sources on 162 terrestrial animals and plants unique (endemic) to the Albertine Rift, the researchers used ecological niche modeling (computer models) to determine the extent of habitat already lost due to agriculture, and to estimate the future loss of habitat as a result of climate change. On average 38 percent of suitable habitat has already been lost to agriculture in this region, where some of the highest human population densities occur in Africa. One positive finding of the ecological niche modelling study is that while the ranges of many species are expected to contract, much of the remaining suitable habitat for many species will be located within existing protected areas, and that the recent creation of new reserves such as Itombwe and Kabobo in the Democratic Republic of Congo, have greatly increased the protection of some species under threat by future climate change. It is estimated that nearly 68 percent of the areas where current and future habitat will overlap is already safeguarded by parks and reserves. The Albertine Rift and its protected areas. Credit: WCS. Projecting forward, the research team anticipate that the ranges of many species will shift to higher elevations as changing environmental conditions envelop the landscapes of the Albertine Rift. The study models predicted that, on average, a shocking 75 percent of all remaining suitable habitat across all species examined would disappear by the year 2080. By that time, only an average of 15.5 percent of the original suitable habitat of the mammals, birds, and other endemic species of the Albertine Rift would remain. The most extreme forecasts—the loss of more than 90 percent of all remaining habitat—is expected to imperil 34 of the rift's endemic species. "We hope that this study and similar ones will help wildlife managers and government agencies to anticipate where conservation measures to protect the region's unique primates, such as the mountain and Grauer's gorillas, birds, reptiles, and other unique species will be most effective," said Sam Ayebare of WCS Uganda and lead author of the paper. From the false all things follow. This is not fake science but it is useless quasi-science. The existence of the kind of climate change postulated in the paper is unproven. A paper on the effects of an ice age or a prolonged drought would be just as useful, or useless. As such this paper represents a work of science fiction, not science and is a waste of time and money. "From the false all things follow." Since yours is the first comment on this article, that seems to be true, so far as comments go. Let's see if you can be correct twelve hours from your time of posting, mrbrokenclock.